LingoHut Blog: How many languages can you speak? I love to travel, and I love to eat. When I am on an adventure, my favorite thing to do is find great places to eat. I am not fussy about where I eat as long as the food is interesting and exciting to the taste buds. 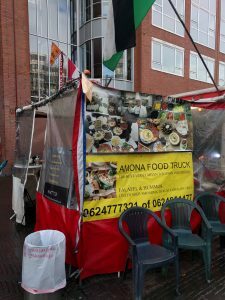 Today, I want to share with you a food truck in Amsterdam “Amona”. “Amona” is a place that serves authentic Jordanian food. Jordan is famous for its spectacular food filled with flavors. His shorabet adas, a famous lentil soup, is out of this world. In Jordan, this soup is the official food of every winter. His food truck is buzzing with people coming to eat or pick up food. Mike, the owner, makes every customer feel special and welcomed. He loves to get to know his customers. 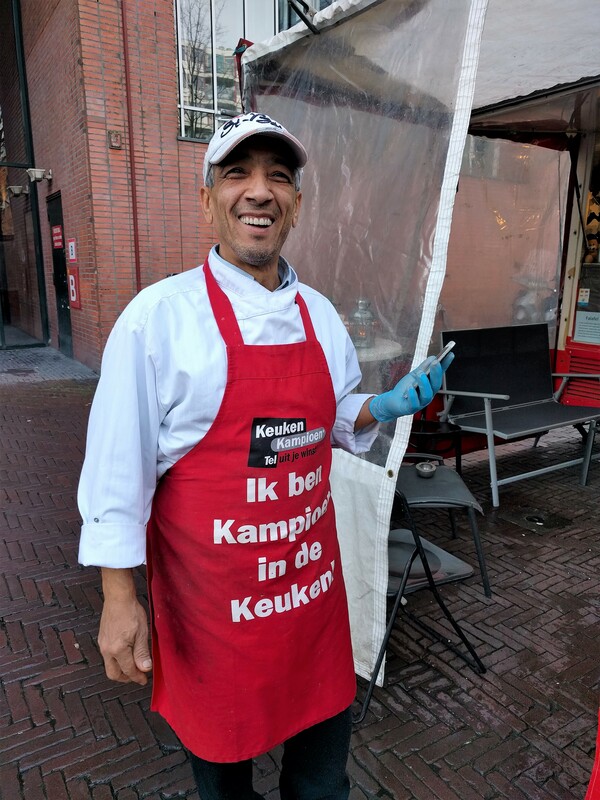 He gets to know his customers so well that he now speaks 12 languages! It is beautiful watching him switch languages without any stress or anxiety; the words from one language to another language just flow out of his mouth like lava out of a volcano. It is impressive! Luckily, he was able to give us an interview while preparing our food. I am grateful that I was able to speak with Mike to share his yummy place. Make sure you put it on your to-do list when in Amsterdam. Stop by “Amona” speak to Mike in your language, and he might surprise you and speak it fluently. Tell Mike LingoHut sent you.